Despite a decade or so of positive economic trends, poverty and unemployment continue to be pressing problems in Georgia, which lies at the crossroads of Europe and Asia. The World Bank estimates that 32 percent of the population still lives on less than $2.50 per day, with higher concentrations of poverty in the more rural areas. Unemployment, at 11 percent, is the highest in the region. With 36 locations throughout the country, FINCA Bank Georgia serves over 111,000 clients, largely in rural areas. FINCA offers its customers a wide range of credit, money transfers and savings services, all of which have been certified as client-friendly by the Smart Campaign. Among FINCA countries, Georgia has the lowest rate of financial exclusion, but this still means that 40 percent of adults don't have a bank account. Poverty and financial exclusion are especially prevalent in rural areas, where two-thirds of FINCA's borrowers reside. These customers take advantage of FINCA's crop and livestock loans to improve their farm production, or to diversify their income through small businesses. 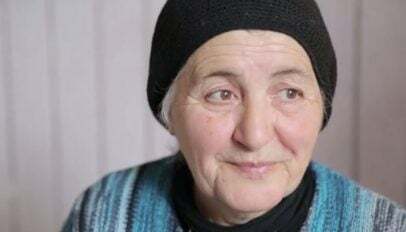 Living standards for our clients in Georgia are similar to those found in neighboring Armenia, even though Georgia's clients have a more rural profile. Almost all breadwinners have at least some secondary education, and home-ownership is the norm. Housing size and quality, however, are still issues for many borrowers. Families often need to expand their living space to accommodate multiple generations under one roof. And while water is abundant in Georgia, nearly 20 percent of FINCA's borrowers live in homes without this vital service. FINCA's borrowers are running profitable businesses, earning a 50 percent margin on their sales. Unlike many subsidiaries, where clients are concentrated in trade, FINCA Georgia's clients are spread out across a diverse range of activities, including services, livestock, crops and manufacturing. Profits are especially strong in the latter two sectors. FINCA's loan has a significant impact on employment in our clients' businesses. Of the nearly 70,000 people working in these enterprises, about 45 percent are directly due to the loan from FINCA, according to the business owner, Employment creation is especially high in crops and manufacturing. Most of these wages are above the national poverty line, multiplying FINCA's economic impact well beyond the borrowers we directly serve. Fourty-six percent of FINCA's clients are women, most of whom are the main source of income in their families. Interestingly, despite being the main source of income, most of these women are members of a traditional, two-parent household. 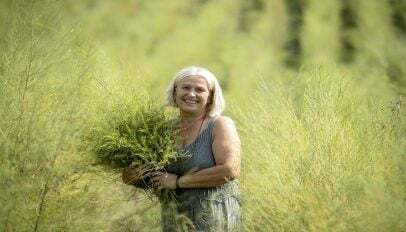 In contrast to its neighbor, Armenia, where our female clients are often running a business with their husbands, women in Georgia are using FINCA's loans mainly to run their own businesses. In Georgia, they create fewer jobs than their male counterparts, because they are more concentrated in sectors such as trade and services, which employ fewer people. Women are also the majority of the workforce in the FINCA-funded businesses. Fifty-seven percent of the people working in our clients' enterprises are women, putting Georgia right next to Zambia among the highest job-creators for women. These wages make an direct contribution to the family's well-being and give women an important role in the household budget. FINCA's clients in Georgia have a unique mindset, compared to the rest of our borrowers around the world. While the most common goal in Georgia is to expand or start a business, these goals are cited by less than half of borrowers. The next-highest priority is to improve their homes, though this goal is mentioned much less frequently. What stands out is that more than a third of clients (36 percent) did not mention any goal in particular. That is why the percentages above add-up only to 64 percent.